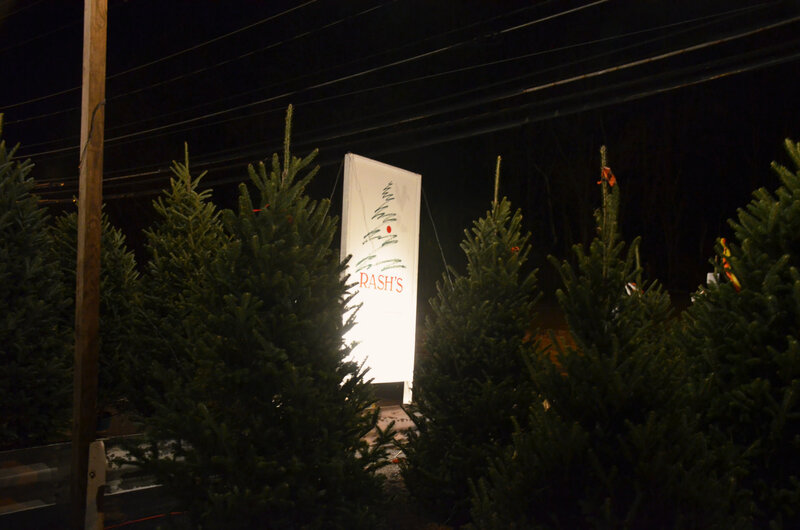 Every year, on a cold winter’s evening, we all pile in the car to go to our favorite Christmas Tree patch and help my Mom pick out her tree. 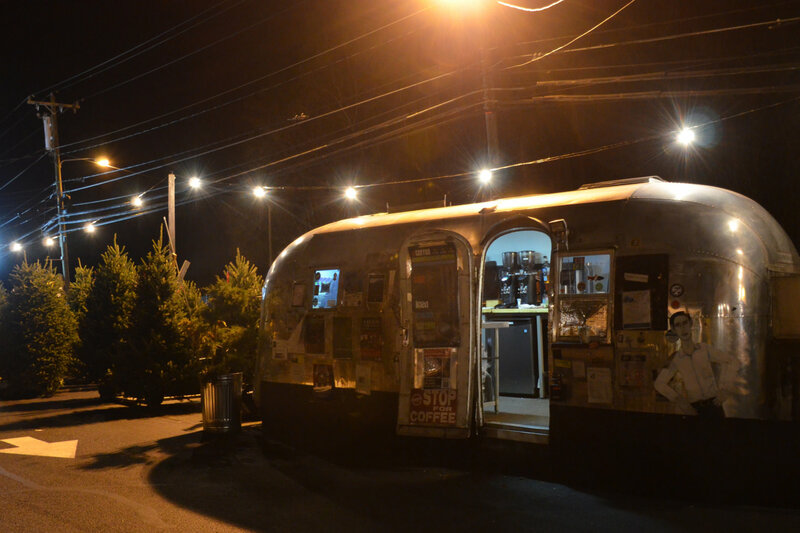 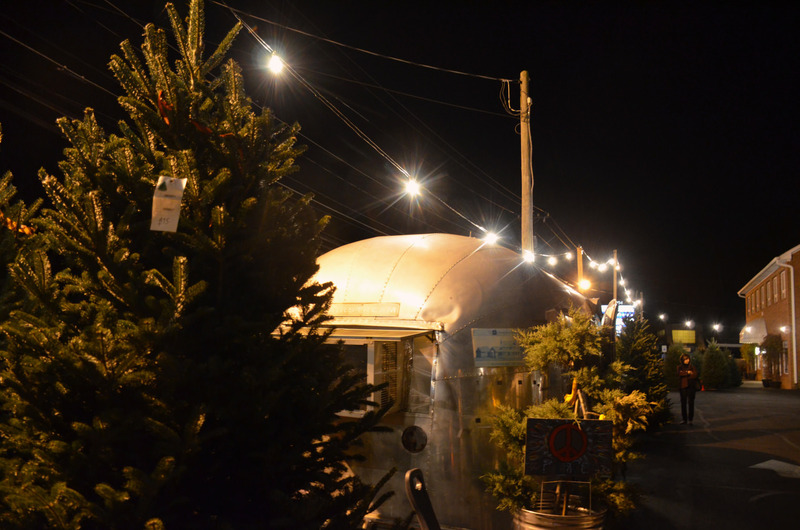 The tree patch pops up in late November and surrounds the Krankies coffee air stream trailer with fresh evergreen trees, patiently waiting for a home. 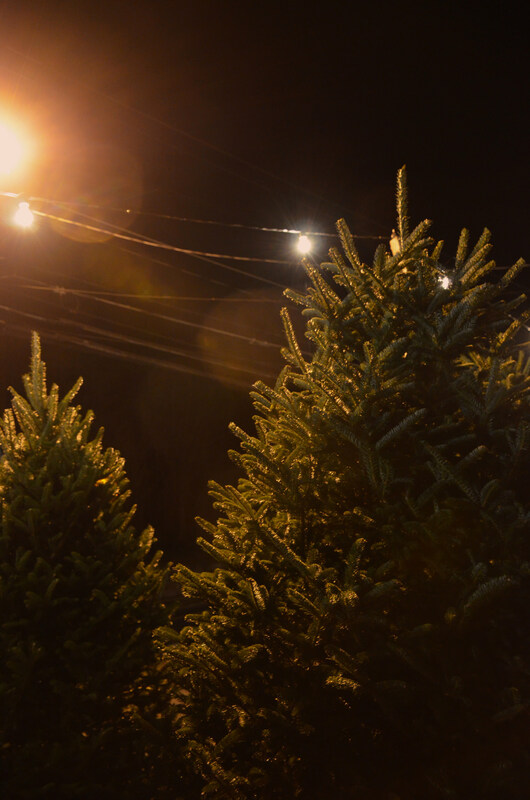 I love running around through the rows of trees in the icy night air, under the string lights, searching for the perfect tree. 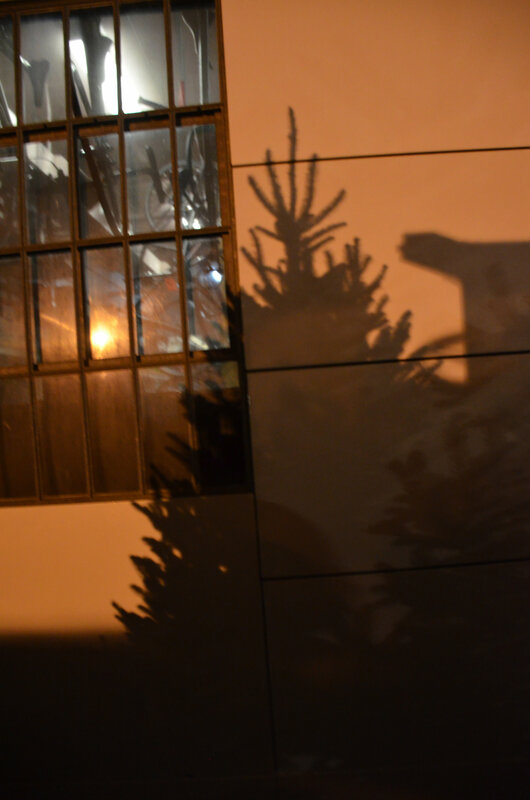 The trees cast long shadows over the parking lot and buildings. 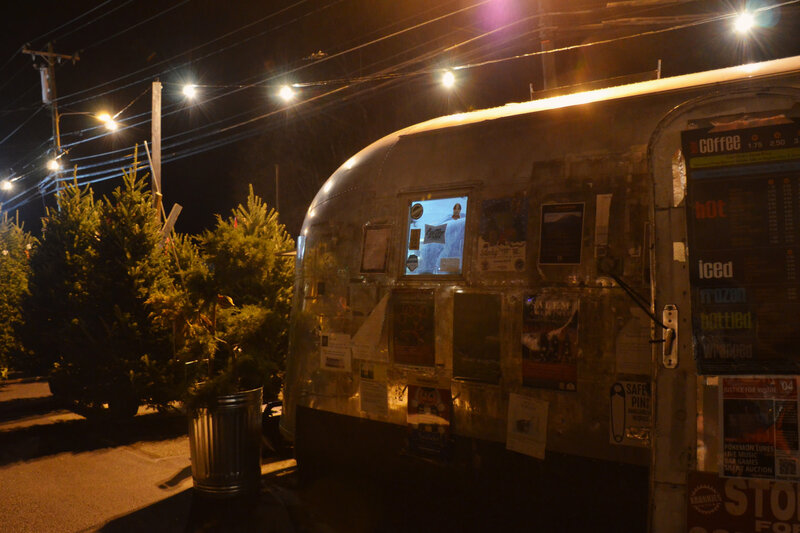 Everything feels a little spooky. 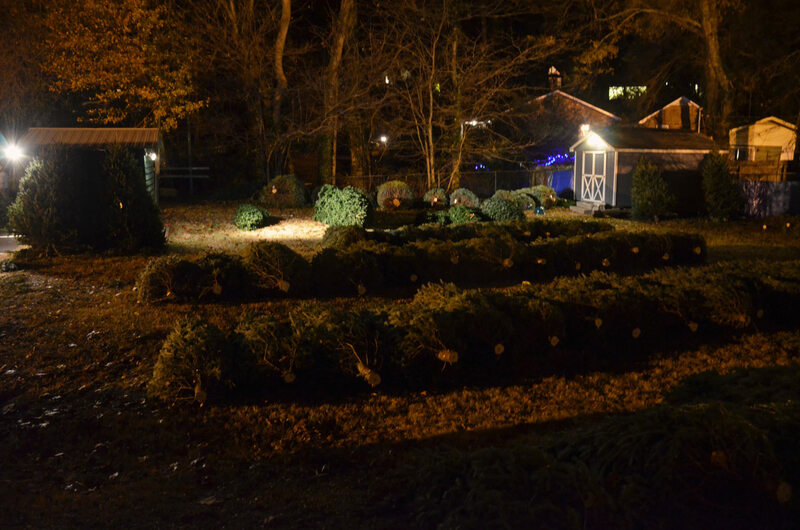 Especially near the Christmas Tree graveyard! 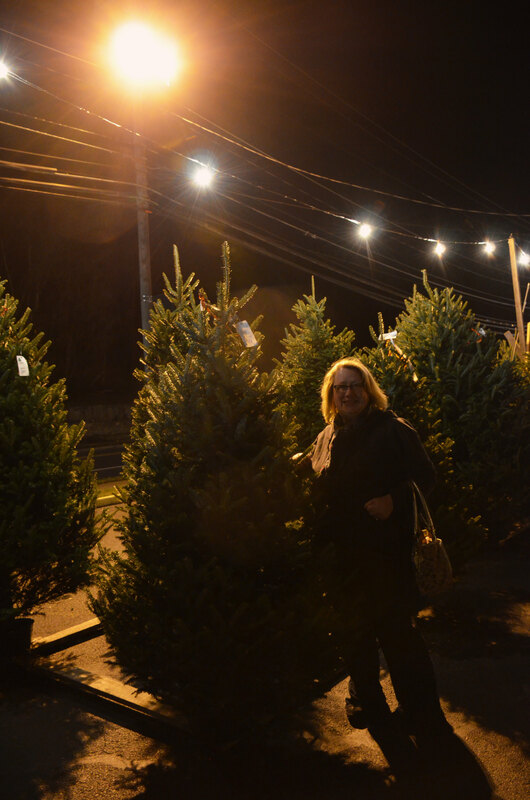 Before long we found the perfect little tree and my Mom posed with it. 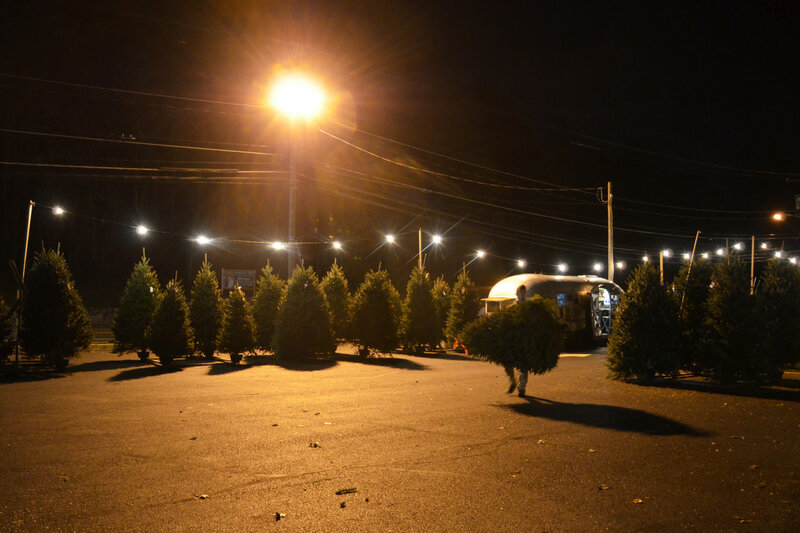 I love the atmosphere of the Christmas Tree lot at night, with the dim lights, the scent of pine and coffee drifting through the air, and the tall shadows cast by the trees as they sit in long rows, waiting to be taken home.